There is nothing wrong with your television set. Do not attempt to adjust the picture. We are controlling transmission. If we wish to make it louder, we will bring up the volume. If we wish to make it softer, we will tune it to a whisper. We will control the horizontal. We will control the vertical. We can roll the image, make it flutter. We can change the focus to a soft blur or sharpen it to crystal clarity. For the next hour, sit quietly and we will control all that you see and hear. We repeat, there is nothing wrong with your television set. You are about to participate in a great adventure. You are about to experience the awe and mystery which reaches from the inner mind to… The Outer Limits. A similar monologue concludes each episode: We now return control of your television set to you. Until next week at the same time, when the control voice will take you to The Outer Limits. The Outer Limits was originally broadcast between 1963 to 1965. Two series were produced totalling 49 episodes. The series was obviously influenced by the success of The Twilight Zone; the main differences between the two are that the Outer Limits episodes are an hour in length compared two the usual half an hour for a Twilight Zone instalment and that the Outer Limits tends to deal more with hard science fiction subjects. Notable writers for the series include its creator, Leslie Stevens, Joseph Stefano ( the creative force for season 1 ), who was the screenwriter for Psycho, and Harlan Ellison who wrote the series 2 episodes, Demon with a Glass Hand and Soldier. Soldier won a Writers Guild Award – and it was this episode that Ellison contended was the inspiration for James Cameron’s film The Terminator. Cameron admitted the influence and Ellison was awarded money and a mention in the end-credits of the film. The first episode is The Galaxy Being – a story about a radio engineer who detects a three-dimensional image of an alien after reconfiguring radio transmissions from the Andromeda galaxy. Joseph Stefano, the main writer and producer for series 1, established what has become known as the bear convention. Stefano believed that it was necessary to have some sort of monster around which the plot developed. This convention was for the most part dropped after the first series. Series 1 episodes without a bear are: The Hundred Days of the Dragon and The Borderland. Series 2 episodes which use the bear convention are: Keeper of the Purple Twilight, The Duplicate Man and The Probe. Bears appear in the three other series 2 episodes but only near the end. The Outer Limits has been referred to by some as a poor man’s Twilight Zone. Both are similar in that they have an opening and closing narration. 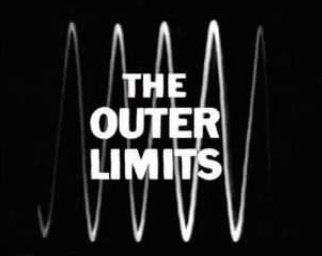 Outer Limits episodes tend to have a darker and moodier feeling to them, some even verge in the direction of film-noir, whereas Twilight Zone episodes were shot in more conventional ways. The Twilight Zone is remembered more fondly perhaps because the episodes were shorter in length and had a more parable feel to them. 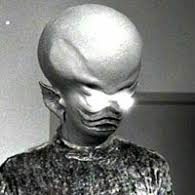 Some people even mis-remember whether an episode was from the Outer Limits Series or from the Twilight Zone series. The opening Twilight Zone film produced in 1983, for instance, depicts two people arguing over whether a particular episode was from the Outer Limits or The Twilight Zone. Probably the best-remembered episode is one from the first series called The Zanti Misfits, an episode which depicts the invasion of Earth by the insect-like undesirable inhabitants from the planet Zanti. It is probably remembered fondly due to the rather comical appearance of the Zantis. In 1997, the TV Guide ranked this episode number 98 on its 100 Greatest Episodes of All Time list. Some of the props and monsters used in the series popped up later in the 1960s Star Trek Tv series. For instance, the microbe monster in The Probe later made its appearance as one of the Horla in The Devil in The Dark. Not only were props and monsters recycled for Star Trek, but some of the actors as well. Leonard Nimoy appeared in two Outer Limits episodes: Production and Decay of Strange Particles and I, Robot, and William Shatner turns up in Cold Hands, Warm Heart. The series was revived in 1995, running very successfully for 154 episodes. To see the full list of Outer Limits episodes use the left menu.